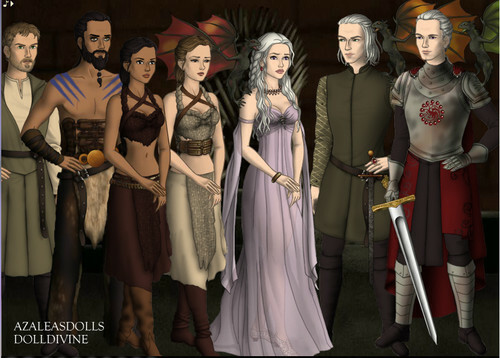 Game of Thrones kwa Azaleas Dolls and DollDivine. Azaleas Dolls and DollDivine created a Game of Thrones dress up game. It's just like The Tudors one.. HD Wallpaper and background images in the Game of Thrones club tagged: game of thrones house targaryen.